Find out more about crypto casinos with the Casino Veteran’s insights. Some say that the Casino Veteran is the superman of gambling. Others think that it’s down to him knowing the difference between kryptonite and cryptocasinos. 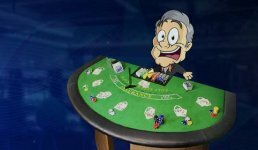 In his time, the Casino Veteran has seen many different innovations come and go – gambling has been revolutionised by the impact of the internet and offers such as the infamous free spin and a no deposit bonus. As more and more people use mobile devices to access online gambling sites, the value of the market was estimated to be worth $43bn in 2016, and so it’s no surprise that new ways of doing things are emerging all the time. The reasons for constantly evolving tech being used essentially come down to increasing safety, security and customer confidence. 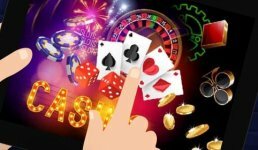 Cryptocasinos are really making an impact in all three areas and the cryptocurrencies that they use are changing the way that digital transactions are carried out. The big things that set a crypto casino apart are the ways it uses blockchain technology, ledgers and cryptocurrencies. A distributed ledger technology, often called a blockchain, serves as a public database for, in these cases, financial transactions. This approach of a decentralised control means that this ledger cannot be cheated or altered as it has multiple copies and isn’t in private hands in secret. 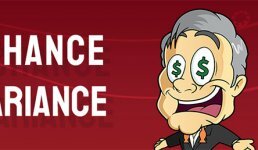 So, for anyone already using online casinos, this makes choosing a crypto casino a great idea. There are more and more online casinos which could now be called crypto casinos because they offer games based on digital currencies. Casino games, gambling games, sports betting and even spread betting are all services which are covered by the new way of doing things. The way it all actually works in practice is not much different from existing online casinos at the very heart of things. The software is still the basis on which a crypto casino is built and how well it works determines whether it becomes popular in a field crowded with competitors. Most of the most popular crypto casinos have developed their own software but smaller outfits often use versions that they rent or have purchased. These are then customised to add features, games and different types of personality to the sites. In most cases, the software runs the particular game and there is little or no human input. However, with some casino-style games such as poker where the human element is all important, the software plays the role of a dealer at the table while other human players take part. In fact, poker is the most popular game for crypto casinos, The reliance on software and robo-dealing does call into question fairness and transparency for some users. In response, most of the big crypto casinos openly discuss how the algorithms used by their software work in an effort to build trust. Some say that the Casino Veteran could be stuck in his ways, but in fact he is usually the first to try out new ways of doing things. This is why he knows a lot about the different cryptocurrencies. A cryptocurrency is basically a digital asset or unit that can be used as a medium of exchange. In that respect, it’s really no different from using a physical coin or piece of paper to represent an amount of money. However, the strong cryptography used means that financial transactions can be extremely secure, and a system of decentralised control is used (as opposed to centralised banking systems). Once again this means that crypto casinos offer a security level for customers that has never existed before. The two basic appeals of cryptocurrencies are the fact that the record of transactions, or ledger, is public while at the same time the use of the coins themselves gives unlimited anonymity. These two factors can be very important in the world of online gambling, so it’s no surprise that web-based casinos that are embracing the tech are also becoming so popular. Most crypto casinos also offer zero transaction fees and unlimited amounts of transactions a day, in contrast to traditional casinos which use normal currencies, deploy transaction fees and set daily limits. New online casinos using cryptocurrencies are cutting edge, and sometimes this means that it can be difficult to apply existing laws and regulations to a constantly evolving situation. Due to the nature of Bitcoin and other digital token transactions, running Bitcoin casinos is currently illegal in the US. However, users from all over the world, including those from the US, can transact on cryptocurrency sites anonymously, which means that the old ideas of borders and international regulatory boundaries are falling away faster than ever. One of the main challenges for authorities is the lack of open information on anonymity-based businesses, which means gathering data to enforce rules can be very complex, if not impossible. Because the whole area of cryptocurrencies is shrouded in mystery by design, it is difficult to establish exactly how big an impact crypto casinos are having so far. 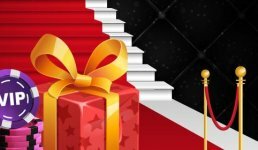 Based on some limited data, the Casino Veteran thinks that this could be the biggest thing when it comes to the best bonuses for 2018. When one cryptocurrency-based gaming site launched in launched in 2012, the total number of daily Bitcoin transactions increased by a factor of five. Together with more and more online transactions taking place using digital tokens, some say that it’s not too big a gamble to predict that the Casino Veteran will love crypto casinos as much as he loves doing his daily prize-winning cryptic crossword.